As the title suggests, the Reverse-Flash has returned! But this is a new timeline Edward Thawne and one that has never met Barry Allen before, so it’s like meeting for the first time all over again. Cisco, using his Vibe powers, begins to suspect the presence of Thawne and turns out to be unfortunately right. But beyond this, Cisco and Earth-2 Harrison Wells work together to figure out how to use his powers. Being two characters who generally dislike each other, this turns out to be very interesting and seeing them work together is both smart, funny and intense all at the same time. Having Cisco turn into Vibe has been a good decision so far as his character gets elevated rather than just annoying comic relief. I am liking Cisco more and more and where they go with him and his Vibe powers is great. 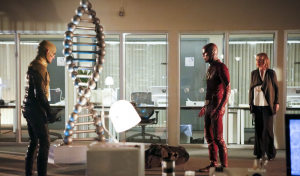 Then of course is Barry’s story this week where he needs to defeat Thawne and he mostly deals with the action this week. He wants to defeat Thawne but then is caught off-guard when Patty figures out he is The Flash in the middle of her leaving Central City. 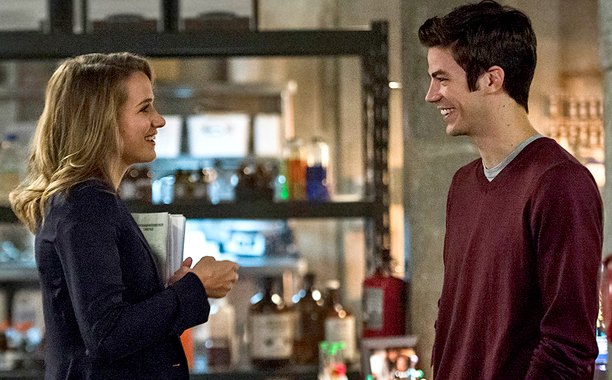 The Barry/Patty relationship has been very well done and Grant Gustin and Shantel VanSanten have much chemistry together. Seeing her finally figure it out and these two deal with leaving each other is great and there is a heartbreaking moment near the end that caught me off guard. These two are wonderful together and it’s by far the best love story of any of the current Superhero shows. And lastly, Iris and Wally West’s mother is dying and both are having to deal with it in different ways. Iris having to cope with the fact she will never truly know her mother and Wally dealing with everything he has done to help resulting in nothing. It’s very emotional, but also very quick. Still, it’s a good way to keep these two characters in the show, especially when we all know Wally will become important later in the future. 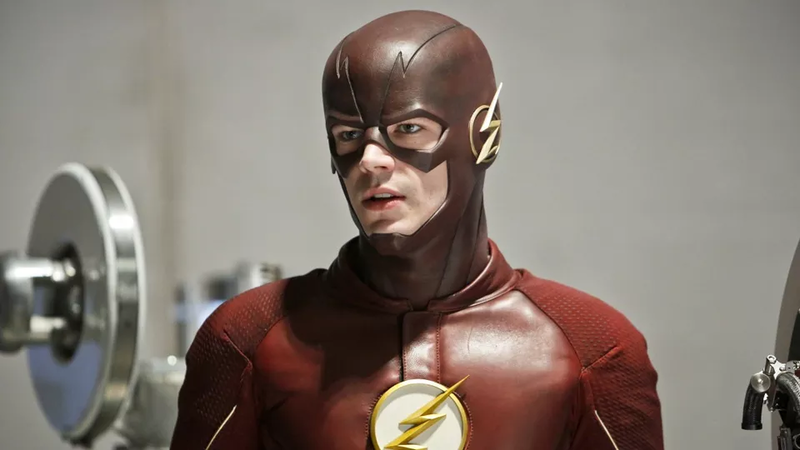 The Flash continues to be strong and delve into these characters. The show grows more complex and more interesting thanks to an even amount of time spent on equally interesting and lovable characters (though the West’s mother needed more time to really be effective). Overall, another emotional and well-done episode.